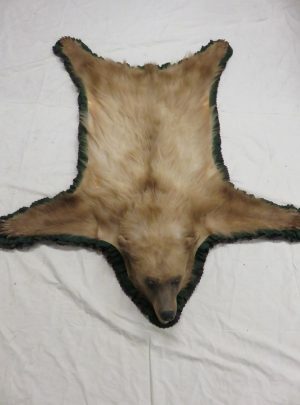 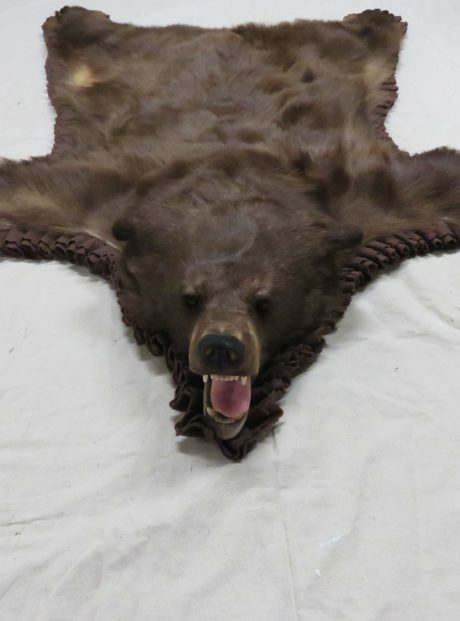 This is a great bearskin rug! 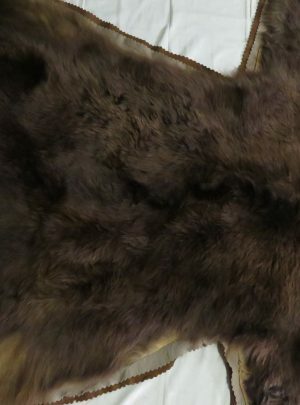 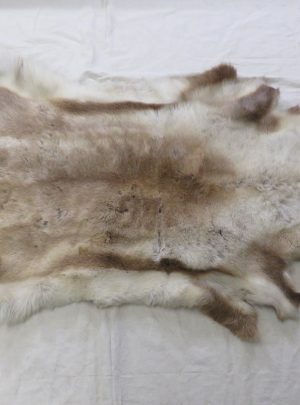 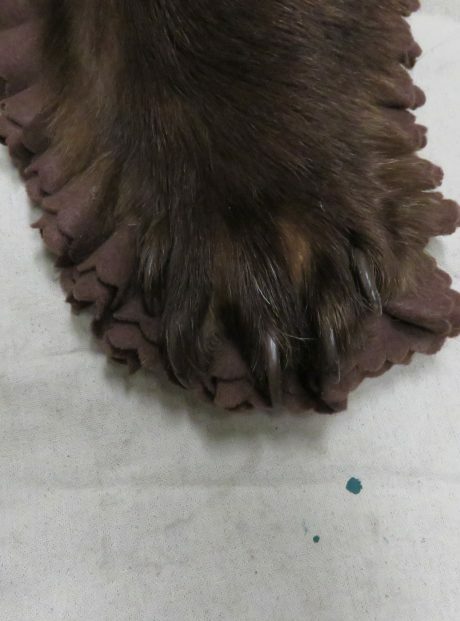 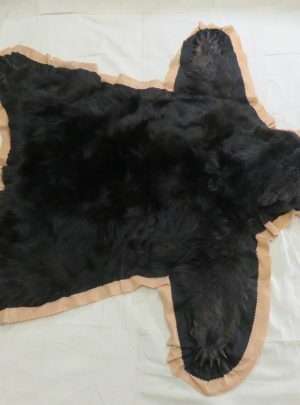 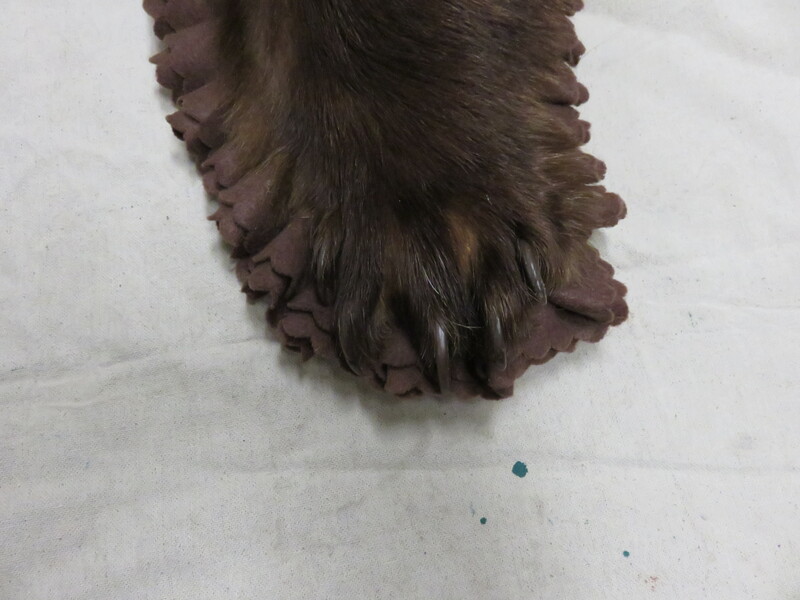 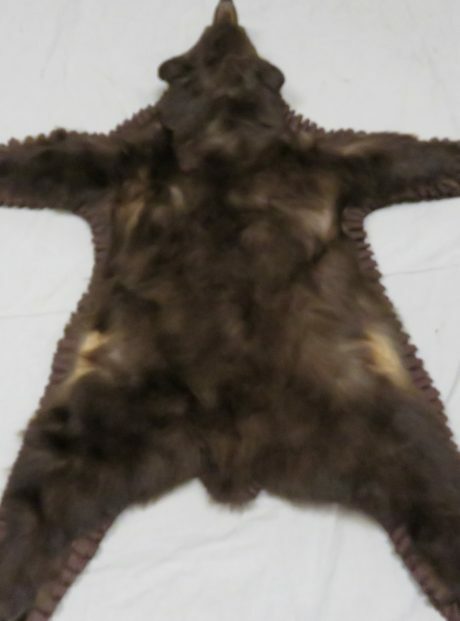 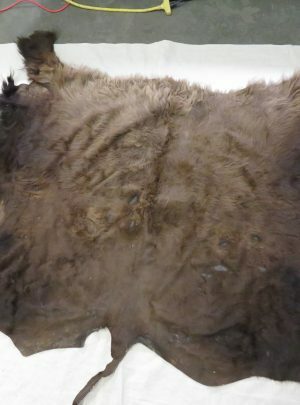 While this is a black bear, he has a very red/brown colored hide (see photos attached). 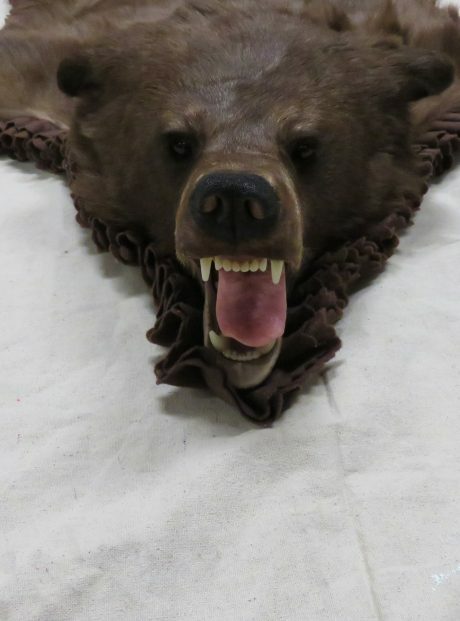 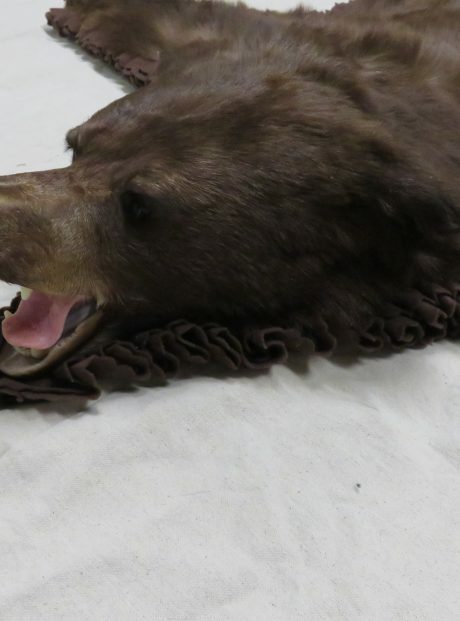 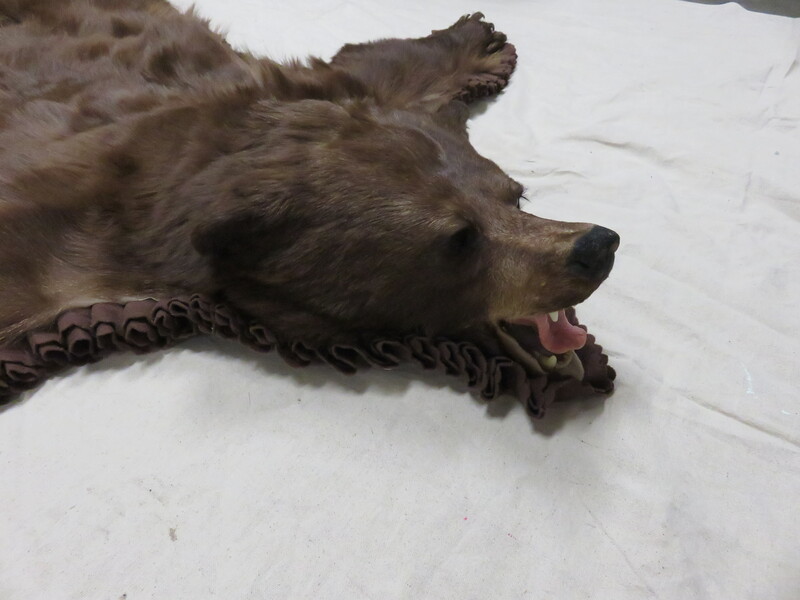 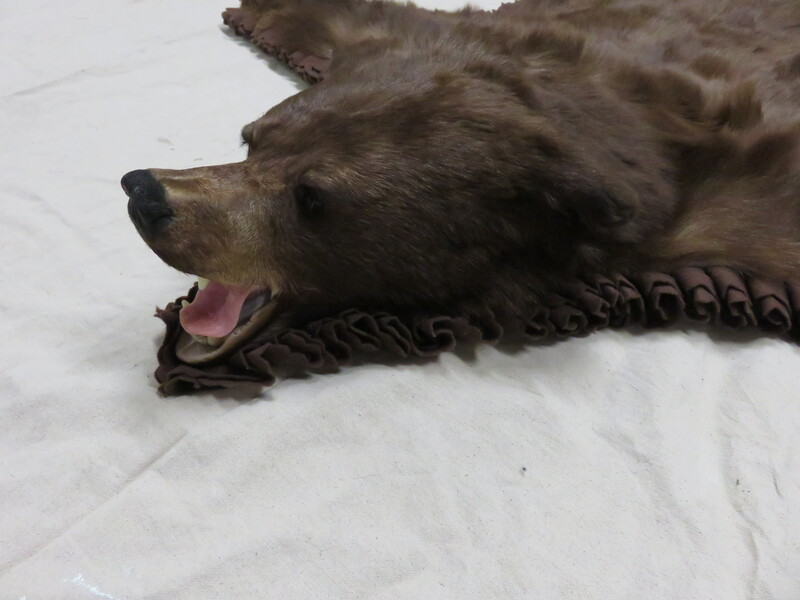 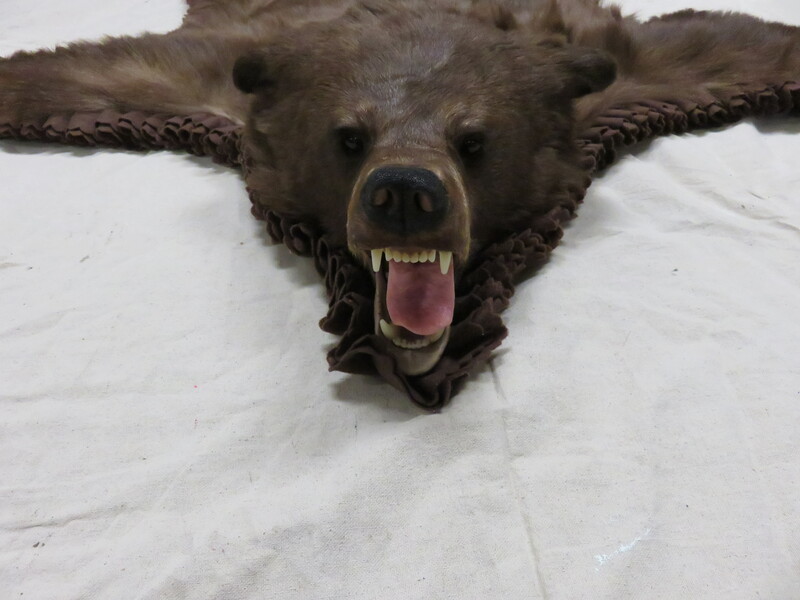 The taxidermy work is great and this bear has a open mouth pose. 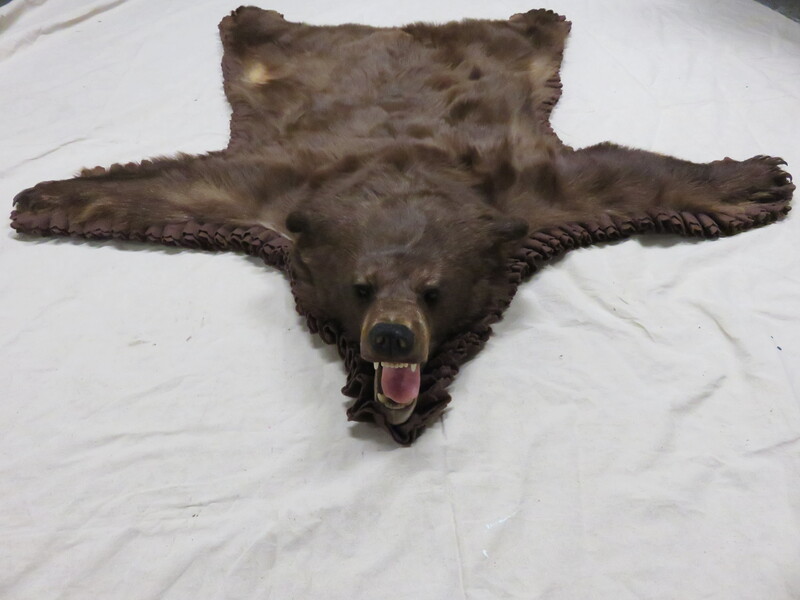 Total dimensions of rug are 62″ (inches) in length and 53″ of width. 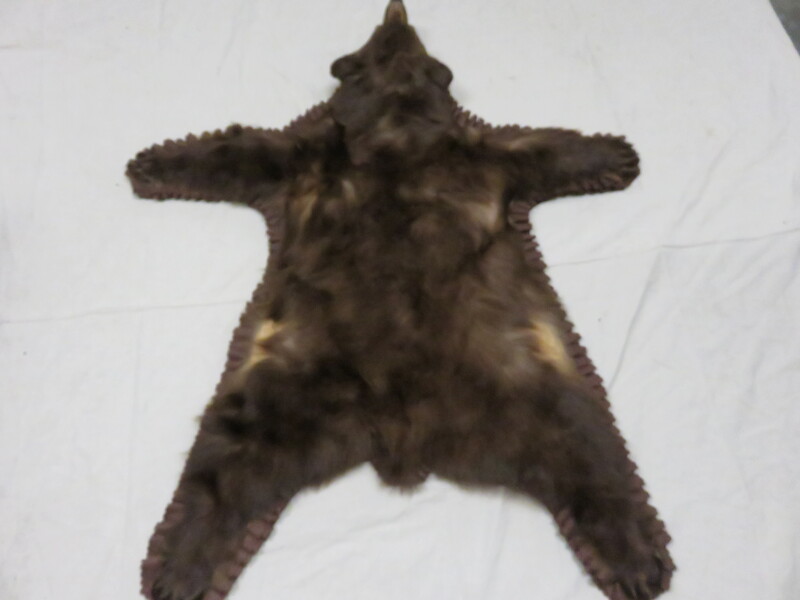 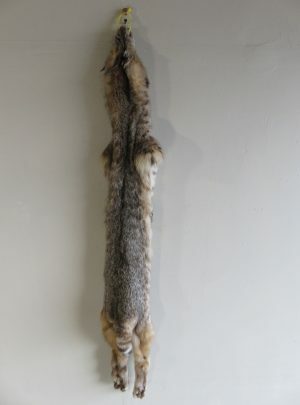 Bear length is 52″ nose to tail. 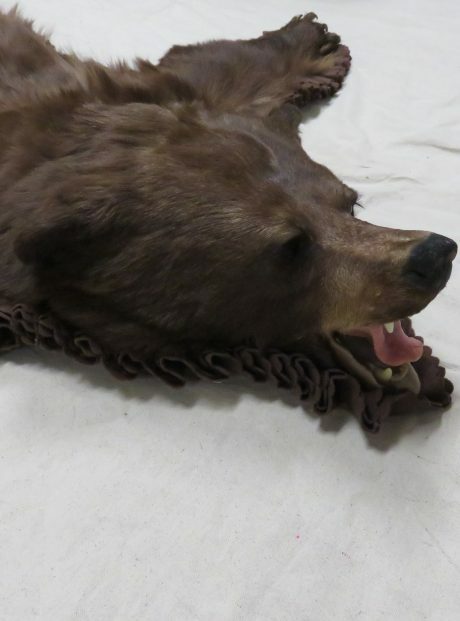 Notice the scar on the nose which indicates he was a bear not afraid to fight for his territory. 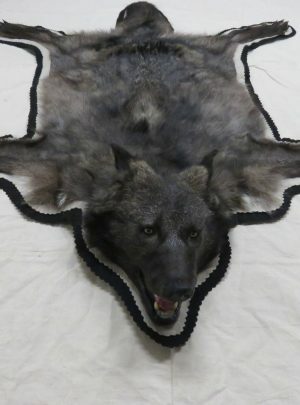 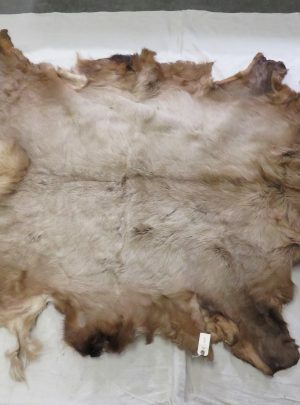 This rug would look great on the wall of the lodge or office or just in front of a fire place at home.